8.5 inches - 36 oz. 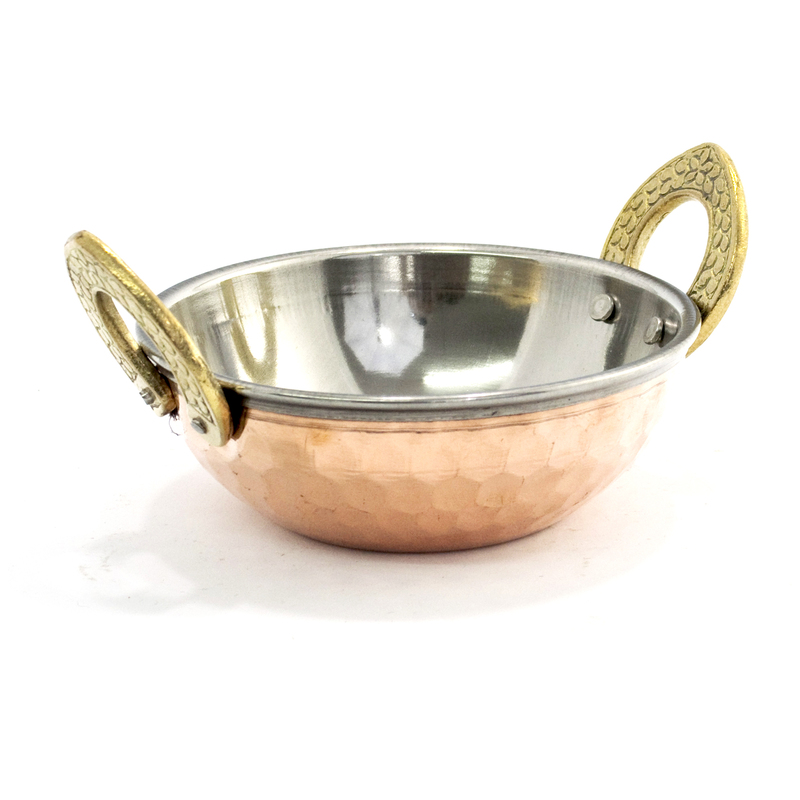 Serve your curries in style just like restaurants do, with our double layer, Hammered Copper Kadai Serving Dish. Length 6.75 (handles included), Width 5.0, Height 1.75, Diameter 5.0 and Capacity 10oz (filled comfortably without overflowing). This authentic and decorative dish will give your guests and family an experience they will not soon forget. It is hand-crafted with two layers of metal which actually help to preserve the dish hot for a long period of time. The inner layer is made of the highest quality stainless steel, with the outer layer made from copper which is hand hammered in a uniquely Indian style giving the dish an added beauty. Will last many years with proper use and care (each piece comes with a product information sheet outlining the Uses and Care for the product).